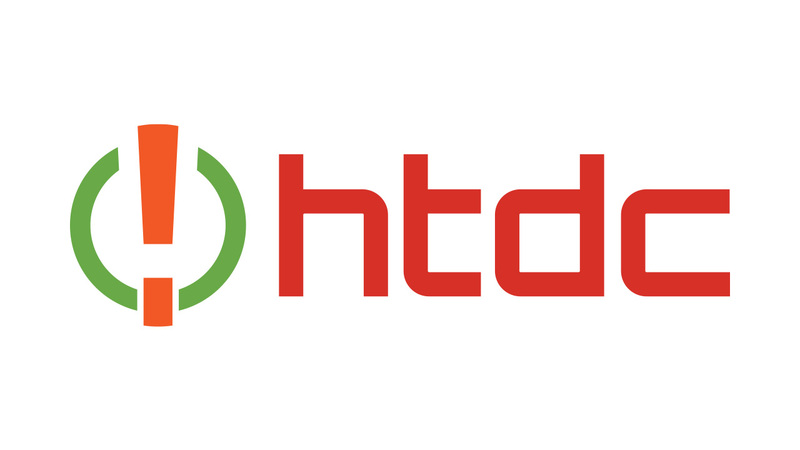 HTDC and its partnering organizations have a vision to create an industry sector that supports high quality jobs and Hawaii’s economy. The organization needed a new brand and strategy to connect and communicate with its key audiences. 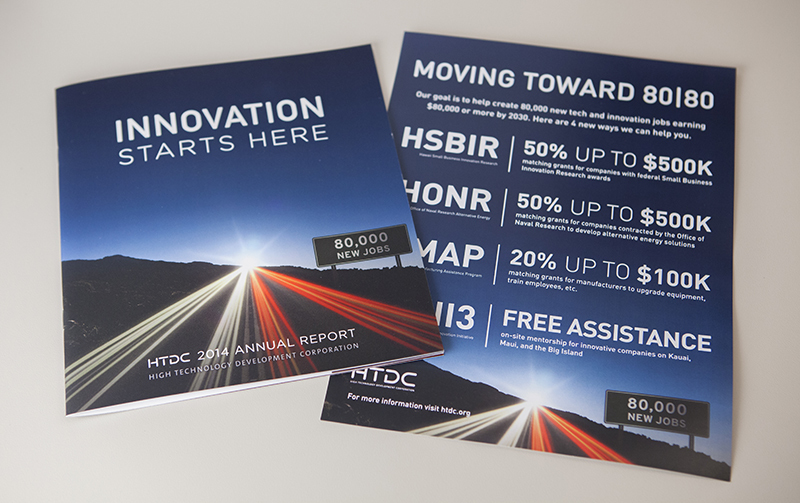 HTDC also needed materials to communicate, promote and connect with audiences for key events, brand awareness initiatives, programs, services and facilities. We rebranded the organization with a new logo design and corporate identity package with a key focused mantra, “Innovation Starts Here.” The rebrand with the new logo design communicated the organization’s commitment to support the growth of the innovation economy in Hawaii. 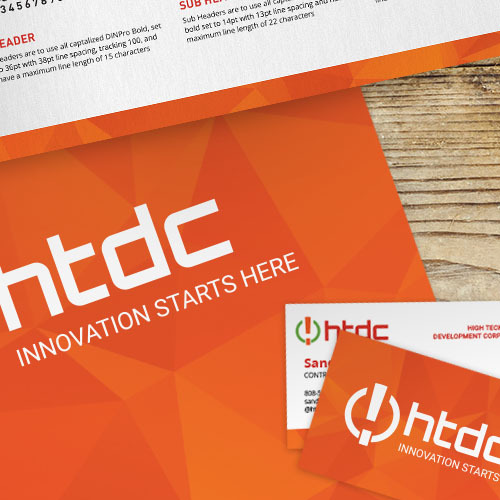 We also developed a set of materials including web design, email campaigns, social media marketing, advertising, print collateral design, corporate identity and more. The organization was successful in launching it’s 80|80 initiative, raising money for new programs and facilities, garnering industry and community support, and expanding its awareness and reach in Hawaii. The work won local Advertising Association awards and the brand has become a recognizable symbol of the organization’s commitments and vision.